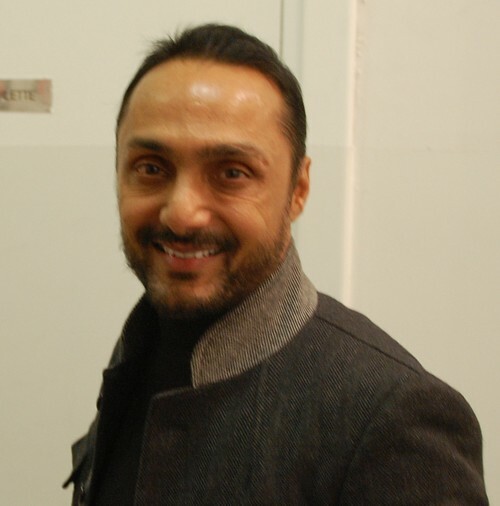 Rahul Bose, 43 years old, is known for his subtle and understated roles in many films such as Mr. and Mrs. Iyer, The Japanese Wife, Shourya, etc. 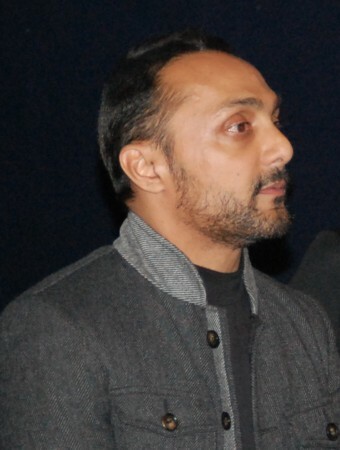 He had directed "Everybody says I am fine" and is supposed to direct, "Moth smoke" (based on a book by Mohsin Ahmed). He has also played in the Indian national Rugby team for many years. I had the opportunity to meet and interview Bose during the River to River film festival in Florence (Italy) in December 2010. In the festival there was four of his films - Split wide open, Every body says I'm fine, The Japanese wife and I am. I had spoken to him before "I am" was shown in the festival. Here is a transcript of my talk with him, that focused mainly on his work with voluntary organisations and only briefly touched some issues related to his films. Sunil: I am curious about your role in Onir's "I Am". I know the screen play of "I am" because I did the Italian subtitles of of that film. It has four stories - Afie, Megha, Abhimanyu and Omar. In which of these four stories you play a role? Rahul: I am in "Omar" but I am not Omar, I have the other guy's role. Sunil: Can you say something about this role? Rahul: This part deals with homosexuality, related to the judgement on the abolition of section 377, which decriminalized homosexuality in India. My part of the film looks at that. It looks at life before the judgement and after the judgement. It is about the discrimination and terror inflicted on homosexuals. Sunil: This is not your first time with Onir, you were also there in "Bas ek pal"? Rahul: No, this is my first time with Onir. Sunil: I read your article in Tehalka magazine a few months ago, about raising funds through an auction. Then I also read about some work that you did in leading a group of non-governmental organisations (NGOs) in Bombay. Rahul: That was the "group of groups". We had formed it after the tragedy of 26/11 so that we could get together and speak with one voice to the Government. There were a lot of groups that were speaking at that time, but we were all speaking with different voices. So our attempt was to get everyone together. We had worked very hard and in the end we had 52 groups under one umbrella. But like all things, the work needed to keep something like this going on, is so tremendous that after about 6 months, it fell apart. Sunil: What kind of things this group was trying to achieve? Rahul: So many issues linked to 26/11, like asking for police reforms ..
Sunil: In the sense of the outcry that happened after 26/11? Rahul: Yes, but we wanted to give it a more secular and tempered response, by looking ahead and not reacting in a knee-jerk manner by blaming people and other nations unnecessarily. So it's aim was to try to speak in one voice and to speak in a temperate reasonable voice as citizens of a city that wants to say things to the Government ..
Sunil: But the kind of things that are allowed to happen in Bombay, they are so negative, and where Government does not step in, it does not do anything to stop those groups .. so what can you expect from that kind of Government? Rahul: Whatever the Governments do or don't do in Maharashtra, it is important that they are made aware that there is an active citizenry that is watching, controlling and is going to speak about it. Just doing that is important. I am not saying that it made a big difference, but our idea was to tell them that we are here, we are listening and watching, and that we are angry. We want good governance. We don't need 26/11 to ask for better governance. The city has had a very patchy record of good governance. Politically it is a hot bed. Sunil: Tell me about your foundation. Rahul: My foundation is called "The Foundation". I was raising money for this foundation through India's first sports' auction. We had 25 pieces from 25 Indian world champions, and we raised money for the foundation. Sunil: What does the Foundation do? Rahul: It has two initiatives - REACH and HEAL. REACH is about restoring equality though education for advancement of children. We have given scholarships to 6 children in Andaman and Nicobar islands, to study at the Rishi Valley school outside Bangalore. The idea is to empower children, who otherwise would never leave their communities. They are getting education at a world class institution, so that they can one day get into mainstream of India's economic life and hopefully they will also take their learnings to their communities, or they can go anywhere in the world. But we never see anyone from Andaman Nicobar in any jobs in mainland India. So it is my wish that these children will become a bridge between people. But there are different ways to do it and there are different questions. One way could be to build world class schools in Andaman and Nicobar, but then that won't really bring those children out of Andaman to go to the rest of India and become part of mainstream economic life. Now we are looking at supporting children from another part of the country that is also disfranchised, we want to send children from there to world class schools. The schools have to be chosen carefully and the entire thing takes almost a year to be organised. The other initiative is HEAL - help eradicate abuse through learning. It is about sexual abuse of children. 53% of all Indian children have some kind of sexual abuse. Sunil: What kind of data you looked up on this issue? It sounds huge, like almost every second person in India is sexually abused? Rahul: It is a police data, and it is absolutely shocking. Like most other countries, these are hidden statistics. Sunil: How long you have been involved in the NGO work? How did it start? Rahul: I have been involved in it since 2002, after the Gujarat riots. At that time, I began to work with a gender based NGO in Mumbai called Aksharma that worked together with Muslim girls and some Hindu girls, mainly dalits. The idea was to educate them with values of secularism and to empower them slowly, slowly expand their social orthodoxies so that they could attain some kind of status in their communities. Sunil: This kind of involvement in different issues, has it changed the way you look at those issues, between 8 years ago when you started and today? Rahul: Yes, completely. I went into it with good intentions but with little knowledge. As you start to understand how social orthodoxies work, you start to respect the need to change things very slowly without antagonising the other side. For example, you don't want to antagonise the men in a girl's family. She has to go back and live with them, so it has to be done in a way that creates consensus, slowly. There can't be gender equality without men. One learns, especially in India, that there are complex problems within the problems. It could be income, it can be health. You suddenly realize that the woman can't go out of the house because she is not well, she does not get right kind of food. India is a deeply humbling place, you think that you know things, but you don't. You start appreciating that to bring about any change, you need a long long time and it is never permanent, you always have to go back and look. Sunil: The children you are supporting in Andman and Nicobar, they come from indigenous families? Rahul: No, only one of them is half tribal. Out of 550,000 persons in Andmans and Nicobar, only about 35,000 are tribal and so there are about 8,000 tribal children. Rest of the persons came there in different waves of migration. All the children that we support come from modest socio-economic backgrounds. Sunil: I am asking so many questions about your NGO work, because I work in a NGO too, an organisation that deals with persons affected with leprosy and disabled persons. I just came back from Guwahati, two days ago. Rahul: I became familiar with Andamans after the tsunami. I made 23 trips there over a period of two and a half years, to organise relief and rehabilitation. I was representing a network of organisations called the Solidarity Initiative. We managed to do a few concrete things on the ground and it was satisfying. Sunil: So many issues you are talking about and specifically in terms of secularism, how did you get there? What made you think about these issues in these terms? Rahul: I think that part of it is do with the way I grew up. My family, the city, the milieu .. Bombay, where I grew up .. my friends - like I never asked why Nasir was Muslim, Vinay was a U.P. Brahmin, Cyrus was a Parsi. They were and remain my childhood friends. At that time, in our upscale economic circle, religion didn't play an important role. But it changed in 1992, when there was popular religious resurgence from all sides ..
Sunil: After the Babri Masjid thing? Rahul: Not just that, it happened on all sides. Today we also have Christian fundamentalism, we have Hindu terror. You can see that today terror is polarised along religious lines. Sunil: Let us leave this line of discussion, and to conclude, let me go back to the films. Your image has been that of an understated kind of actor, so I was a little surprised when I had seen "Split wide open", it was pleasant kind of surprise that you can play loud characters also. Sunil: Among all the roles that you have played, have there been characters that you didn't like becoming? Characters that made you feel uneasy? Rahul: It was my role in Thakshak. Rahul: It took me to some ugly places in my heart and I was afraid to be that ruthless psychopath, a complex person. It was very different, mentally very different from me as a person. Even the character in "Everybody says I'm fine" was very challenging. Sunil: What was your role in "Everybody says I'm fine", I had seen it long time ago and I don't remember it. Rahul: I was the actor who has no work, a flamboyant character who wears all kinds of weird clothes. And, all his lies about how successful he is. (Smiling) In real life, I am not very successful, but I don't lie about it. Sunil: But you are successful, especially in your own particular kind of cinema. Rahul: Yes, I am happy. Sunil: You also had some mainstream films. But were they not commercially successful? Rahul: Hardly any of my films have been commercially successful! Perhaps Shourya, Chameli, Pyar ke side effects and Jhankar Beats had some commercial success. Two of my Bengali films, Antaheen and Anuranan had success in Calcutta, they ran for 100 days. Sunil: And you are recognised as a good actor ..
Rahul: So I am happy ..
Sunil: OK, thanks Rahul for this chat. I greatly enjoyed it. I think that I was too much taken up by his work with NGOs that I forgot to ask all other things. Yet, I am happy that I spoke to him about NGO work and other social issues. He came across as a sensible and articulate person. If I had more time, I would liked to talk more about their scholarship for poor children from marginalised groups such as from Andaman and Nicobar islands. I would liked to share ideas and experiences of organisations that I have visited in many countries that are concerned about making sure that children from marginalised groups are not made to feel ashamed about their original cultures and that strive to keep strong links between the children and their original communities. I also wanted to know more about his parents, his schools, the things that influenced and molded him as a person, but there was no time for it. If you have not read his Tehlaka article, I suggest that you read it. He writes really well.